I chose the line Watercolour, Big Words/Letters, and pastel shades, got out my Mama Elephant Botanic Hello that I've just bought from Seven Hills, white heat embossed it onto hot press watercolour paper, and got to work with my distress markers. After that I just trimmed it to size and put it on an A6 card base. Beautiful colouring! 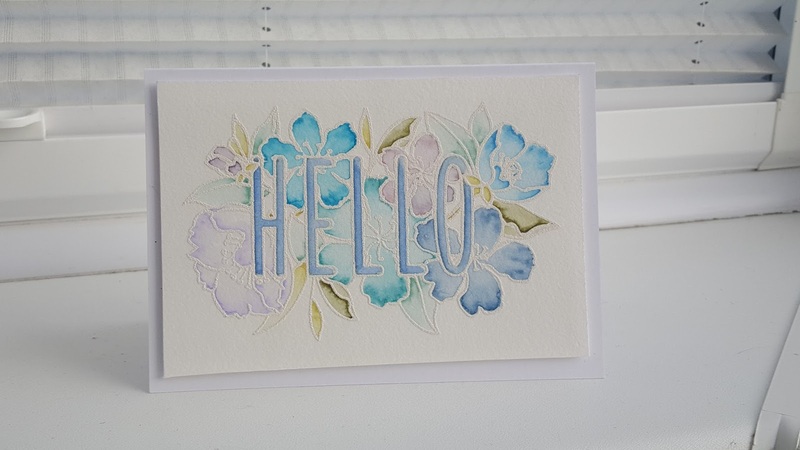 I love the palette of colours you've chosen for this card - really pretty and delicate. Thank you for joining us at the Seven Hills Crafts Challenge this month.